Fokgroep Gebelgd and Kennel Longfields from Suzanne de Lange. Further more we want to thank all the people that helped us to make this day such a perfect day! 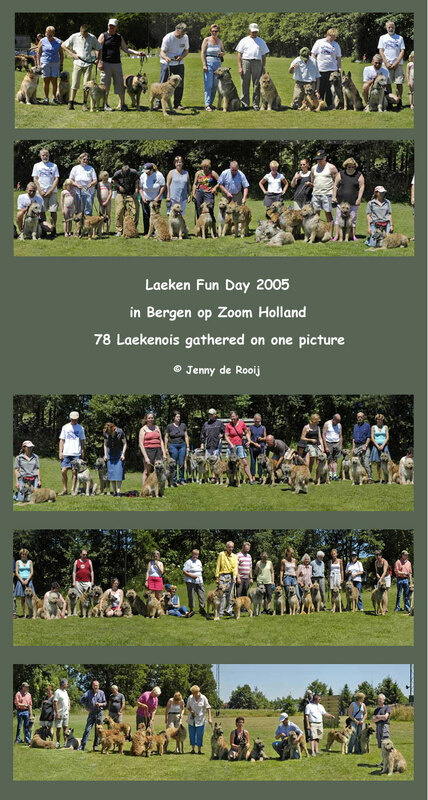 We can not do this alone and we are very happy to see that so many Laekenois lovers made this day a very special one! s Arvik van Tazan II. of about 80 Laekens present during the day! dog, of course guided by trainers. home, where you could drink and eat all kinds of things. only knew from the Laekenois list or other lists/forums. at the picture, this was quite unique to look at! nothing happened between any of them! Laeken Fun Day was coming to an end. The comment is also in English this time!